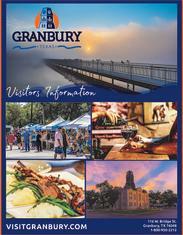 Granbury is a town of many wonderful things to do and see, but there is a place not far from our historic Square that has special meaning to our community. This is a place that honors the men and women that serve our nation and our community. It is Granbury Memorial Lane in Jim Burks Firefighters Memorial Park. Join us this Memorial Day, on Monday, May 28---at Granbury Memorial Lane, for the Memorial Day Opening Ceremony at 8:30 a.m.
Memorial Lane grew from the inspiration of Julia Pannell. A few years ago, Julia and her husband were returning from Branson, Missouri. There they were inspired by a local memorial to veterans. Julia thought that Granbury should have something similar, honoring the first responders and military veterans of the community of Granbury. Julia developed a plan of action, and presented it to the Granbury City Council on April 5, 2016. She described her vision for Memorial Lane and the city council unanimously approved the motion for the memorial. Granbury enthusiastically rallied behind the project. The memorial was entirely funded by private donations made by members of the community. The memorial was designed by local architect Terry Cone. Local trades people donated their time and skills to the construction. It took a little more than a year, but on July 1, 2017, the Memorial Lane was dedicated during a solemn ceremony. The memorial honors the men and women of the community who have served as first responders, and as military veterans in the United States armed services and Coast Guard. Also at the memorial are two sculptures by Mike Scovel. Mike is a Vietnam veteran and was called to donate his creations to the park. One sculpture is of a young girl entitled "Tears For The Fallen." She is holding a flag with a cross around her neck. The other sculpture is of a service dog entitled "Homage To A Compatriot." Memorial Lane is a living memorial. Picnic tables are provided for families to enjoy the scenery and special atmosphere of the park and lane. There is a playground just down the path from the memorial. Families and children are encouraged to enjoy the park, and reflect. Pavers carved with the names of veterans and first responders from the community surround the memorial, and continue to be added. Applications for pavers with the name of someone you would like to honor can be made at city hall, or picked up at the park itself. There is a fee of $50 for the paver, and it goes to help maintain the memorial. Granbury is a town that values the people that serve our community and our nation. 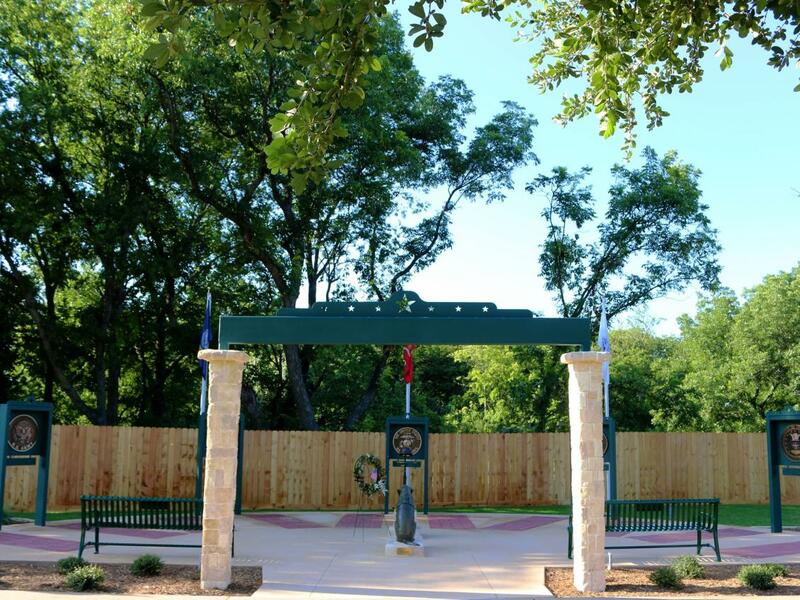 We hope that when you visit Granbury, you get the opportunity to visit Memorial Lane and honor the brave men and women of our community that have protected our community, our values, and our nation.